From Kenny Ma, a leading designer of romantic Victorian-style jewelry. Amber-hued Swarovski crystals are hand-set in antiqued gold-tone frames and bezels. 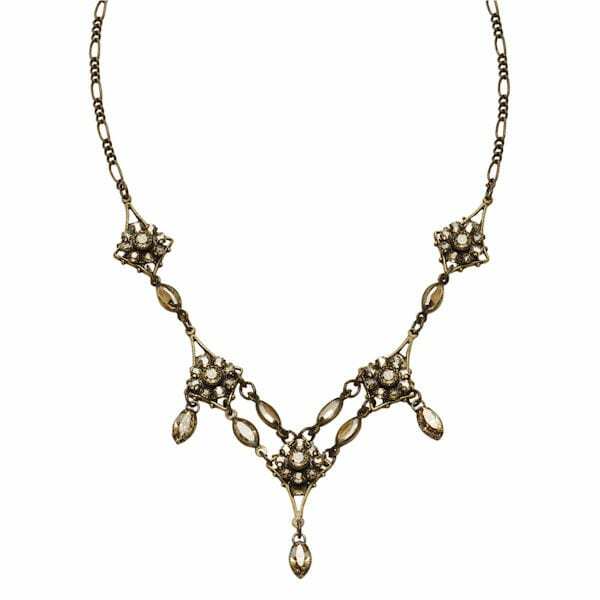 17" adjustable necklace (XB1932) with ornamental chain secures with a lobsterclaw clasp. Earrings (XB1942) hang 1 ¼" on French wires. Sold separately.